Cover FX is a great inclusive brand – with over 40 hues amongst its various collections, you have an excellent chance of matching your precise FleshTone and undertone. The Natural oil free foundation will definitely require a primer and a setting spray – and anything more than medium coverage is possibly going to feel cakey and heavy on the skin. We find it works best as sheer to medium coverage, applied with the fingers and then buffed with a brush. 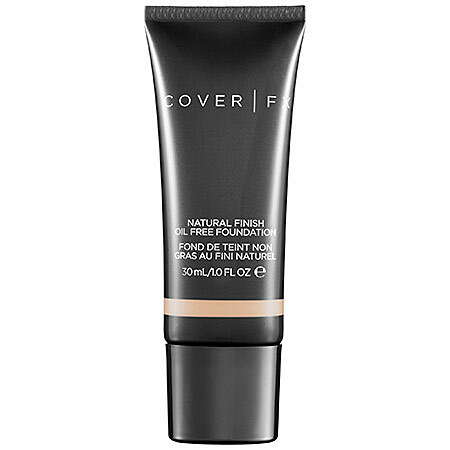 While it’s not great for hot weather or super oily skin, this foundation is silky and can give you that second skin appearance – particularly as you are likely to find your perfect match. It has loads of great features – such as vitamin C and vitamin E to help protect against free radicals, and it’s also vegan and cruelty free. Prices for the Natural Finish Oil Free Foundation start at $40USD, and there are too many FleshTone options to count!